The Rapa Nui people of Easter Island are asking the British Museum to return one of the island’s sacred Moai statues, stolen 150 years ago by British sailors. It’s one of the many artifacts looted by the UK in its imperial days. British Royal Navy sailors took the 2.42-meter (almost 8ft) tall Moai figure from Easter Island in 1868 and presented it to Queen Victoria in 1869. 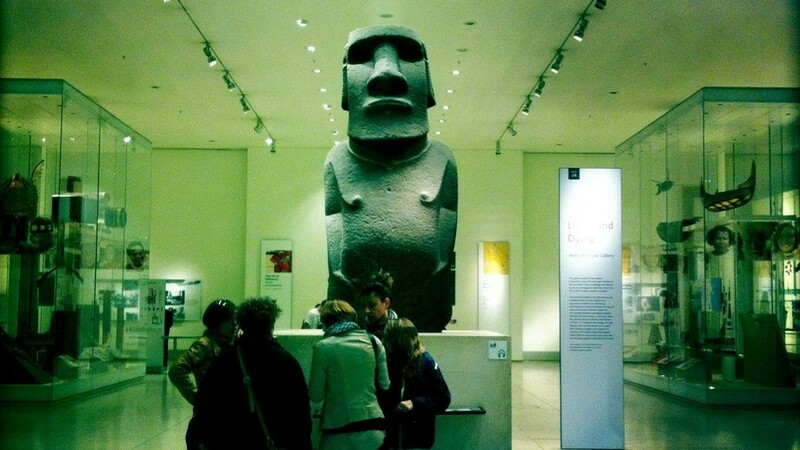 She, in turn, gifted it to the British Museum. No Moai statue has ever been precisely dated, but they are estimated to be at least 400 years old. This one’s name, Hoa Hakananai’a, ironically has been translated as “lost or stolen friend,” among other variants. Now representatives of the native Easter Island Rapa Nui tribe have penned a letter to the British Museum asking for its return. It has received the backing of the national treasuries minister of Chile, of which Eastern Island is a part. Hoa Hakananai’a is just one of a myriad of historic artifacts held in the British Museum, whose dubious means of acquisition is causing calls for repatriation. So far, the British government has been reluctant to yield to those calls. Some of the most notable of those treasures include the Koh-i-noor diamond, taken from India and also presented to Queen Victoria in the mid-19th century. Another is the Rosetta Stone, discovered by Napoleon’s French Army in the late-18th century, which ended up in Britain in the early 1800s. There are also the Elgin Marbles from Greece, named after the Earl of Elgin, who in 1801 procured them from the Ottoman Empire, then the rulers of Greece. In all of these cases, the original countries’ governments want their treasures back. With the Elgin Marbles, even UNESCO has interjected with a proposal to mediate the dispute. UK authorities are resisting any calls to repatriate the artifacts. 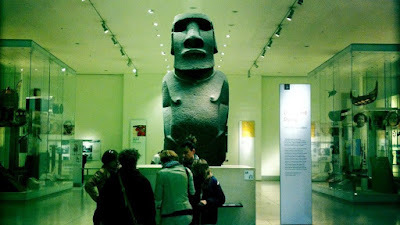 Their chief arguments being that the British Museum offers better conditions for their preservation and study.